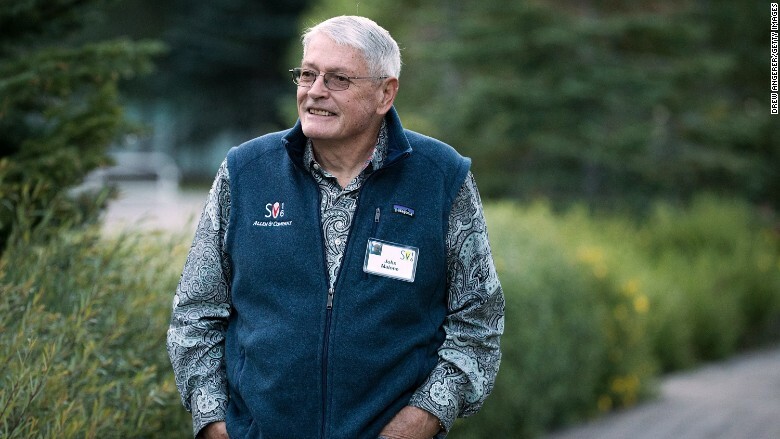 American media mogul John Malone is selling a big chunk of his cable and broadband empire to UK telecoms operator Vodafone for around $13 billion. Vodafone (VOD) is buying operations in Germany, the Czech Republic, Hungary and Romania from Malone's Liberty Global (LBTYA), the companies announced Wednesday. Vodafone said it will pay about €10.8 billion ($12.8 billion) in cash for the businesses. Including debt, the deal is worth €18.4 billion ($21.8 billion), it said. Vodafone CEO Vittorio Colao said the acquisition will make the company "Europe's leading next generation network owner, serving the largest number of mobile customers and households across the EU." The move will intensify its rivalry on the continent with Germany's Deutsche Telekom (DTEGF). John Malone, the billionaire chairman of Liberty Global. For Liberty Global, which described itself as the world's largest international TV and broadband company, the sale is a chance to cash out on what it says have been lucrative investments. CEO Mike Fries said the deal will also "transform the competitive landscape." "Now more than ever, Europe needs strong competition from scaled national challengers willing and able to invest in next-generation wireless, video and broadband services," he said, suggesting Deutsche Telekom's dominance in Germany has held back innovation and investment. Deutsche Telekom said in a statement that it doesn't think the Vodafone-Liberty deal will get approval from regulators, warning that there are "considerable restrictions for consumers to fear." Vodafone said there's "limited overlap" between its existing operations and the ones it's buying from Liberty and predicted the deal will have "no negative impact on competition." It's aiming to complete the purchase by the middle of next year. 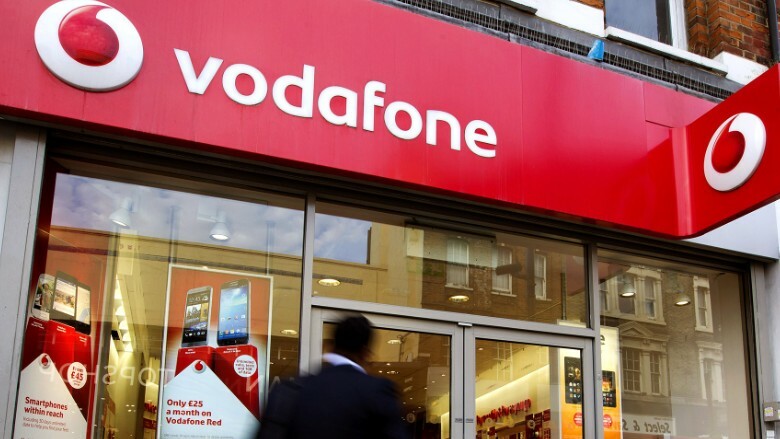 Shares in Vodafone increased 1.4% on Wednesday, while Deutsche Telekom stock dropped 1.5%. Malone's Liberty Media (BATRA) is a minority investor in Time Warner, the parent company of CNN, according to Liberty Media's website.